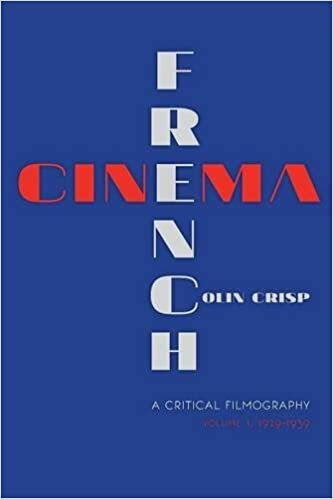 This invaluable resource by one of the worldвЂ™s leading experts in French cinema presents a coherent overview of French cinema in the 20th century and its place and function in French society. Each filmography includes 101 films listed chronologically (Volume 1: 1929вЂ“1939 and Volume 2: 1940вЂ“1958) and provides accessible points of entry into the remarkable world of 20th-century French cinema. All entries contain a list of cast members and characters, production details, an overview of the film's cultural and historical significance, and a critical summary of the film's plot and narrative structure. Each volume includes an appendix listing rewards earned and an extensive reference list for further reading and research. A third volume, covering the period 1958вЂ“1974, is forthcoming.